My mom had an old Singer sewing machine that had the knee activated treadle. It was quite a sight – she’d sit and sew, needle clicking through the fabric evenly as she made clothes for all of us kids. I learned to sew early, making my own clothes to stretch my allowance further. I can remember the time I started to see clothes being sold for cheaper than I could ever make and sewing became a thing of the past. I never made any clothes for my own kids – blankets, maybe, but why bother when you can buy clothes ready-made for less? I donated my sewing machine to a charity when I moved last month. It sat in a closet for 20 years, only being pulled out to hem something or fix a seam. It felt like a betrayal of my past, leaving behind a skill that was no longer necessary, something passed down from mother to daughter for generations. Time was, I sewed clothes to save money, a skill I learned from my mama on a machine like this one here. Now they’re all made for me, cheaper than buying the yardage even. Disposable world we live in – nothing made to last. Mama’s machine served her to the end, no need for an electrical one or fancy stitches. Just her foot steady on the treadle and the patience to stitch straight. Feeling disposable myself these days, waiting out death in the home. Maybe my kids’ll come today. Been a few weeks, but patience was never my strongest virtue. 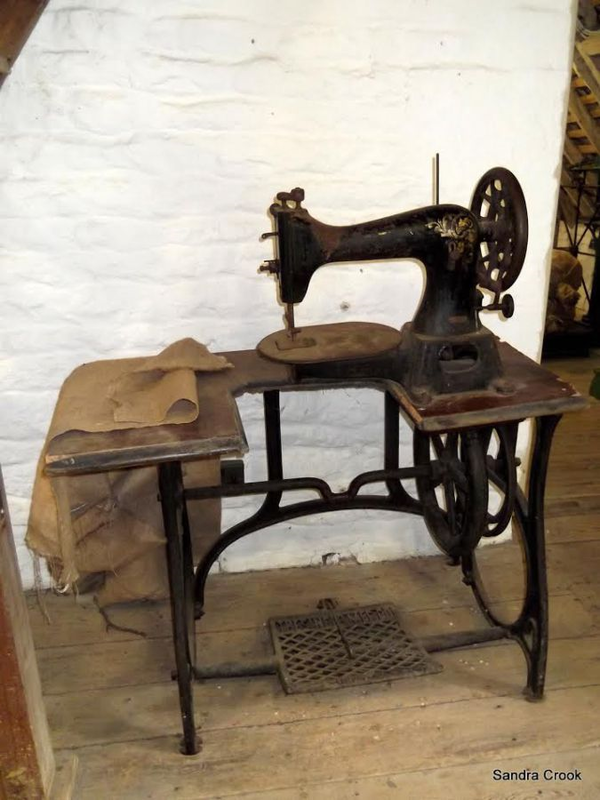 This entry was posted in Flash Friday Fiction and tagged fiction, Sewing. Bookmark the permalink. Heartbreaking last paragraph. Nice use of the prompt. Well done. ‘Feeling disposable’ – that’s a phrase that speaks volumes. Good one Erin. I tend to use mine only for altering hems and the odd bit of repair work these days, but like you it was a regular activity when I couldn’t afford to buy clothes in the quantities in which I seemed to need them. Great story, Erin. Laced with so much truth. My wife does some sewing and material is outrageous. I remember seeing my first no-deposit/no-return pop bottle. At the time I thought, ‘that’ll never fly.’ But now it’s fifty years later and we do indeed live in a disposable society. I thought your intro was your story. Everything is ready made and disposable these days. Many arts are being lost. Sad commentary, well written. A sad story, and sadly cheap clothes are made by poor people under bad conditions elsewhere these days. Feeling disposable is a terrible way to end one’s life. Let’s tell that lady that the art of sewing is still very much alive, more for recreation and individual clothes rather than need. There’s even a trend going back to hand-sewing. It felt like a betrayal of my past This says volumes. How hard it is to let go of something just because someone we love/loved once owned it. This reminds me of something I read recently.